Pro Evolution Soccer 2018 comes as one of the best Pro Evolution Soccer series from KONAMI. Moreover in the Pro Evolution Soccer 2018 version of the PC comes as a next-gen version, unlike the previous three Pro Evolution Soccer series which are port versions of the PlayStation 3 (Old Gen) console. 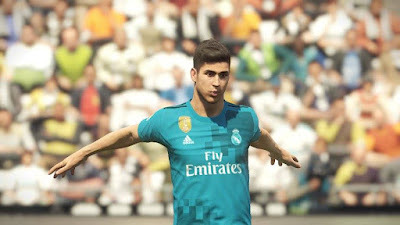 You guys who previously played Pro Evolution Soccer 2018 will certainly feel the difference in the level of graphics that is significant enough on Pro Evolution Soccer 2018 PC Series. Despite the increase in graphics, Pro Evolution Soccer 2018 is still less in terms of club license than EA's FIFA series. 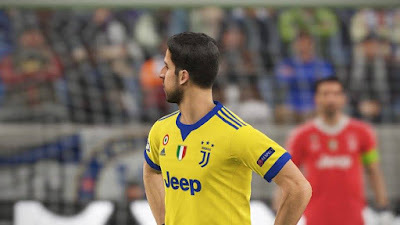 One way to get club licenses in Pro Evolution Soccer is to use unofficial patches created by the Pro Evolution Soccer community. PTE Patch is one such unofficial patch. 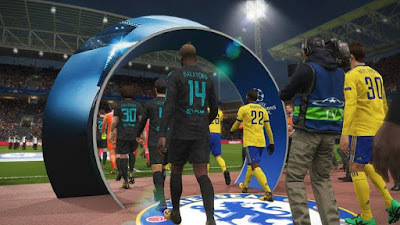 By using PTE Patch in Pro Evolution Soccer, you will get various licenses for clubs and leagues in Pro Evolution Soccer. This includes licenses in kits, boots, players, team names, competition names, and more ! - Compatible with latest KONAMI patch & Datapack ! - All Competitions are Full Licensed ! - Bundesliga 2017-2018 Fully Licensed - Squads, players stats, faces, tactics, kits, fonts, minifaces, etc. - All teams organized by alphabetical order in their respective league. - Change Referee kits and scoreboards easily from PTE Patch Selector ! - All kits are fully adapted to the new PES 18 players models ! - And many more features ! Note : You must install from Datapack 1.0 to Datapack 4.01 before installing this patch ! 1. Extract the file .rar file with WinRAR or 7zip. 2. Run the installer as administrator, install v4.0 AIO first Put the installation location to your Pro Evolution Soccer 2018 game. 3. 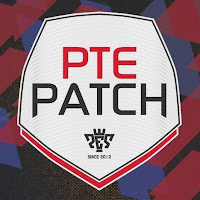 When finished, Open PTE Patch Selector as Administrator and choose offline mode ( if you want to play offline ) and play ! - Update kits for all in-game national teams, including real fonts for must of them.